CallOrange.com is owned by CallOrange.com LLC. CallOrange.com LLC is a promotion company for locksmith, security, and home automation services. 24/7 Pro Locksmith, LLC is a locksmith and alarm company. All jobs are performed by technicians who are independent contractors. 24/7 Pro Locksmith, LLC and CallOrange.com LLC are not the entities performing the work. Limited warranty on parts for 90 days may be provided by the independent contractor technicians. 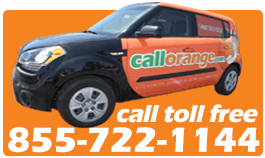 Requests to stop receiving emails can be made by sending an email to unsubscribe@CallOrange.com. We are committed to protecting our customers’ expectations about privacy.